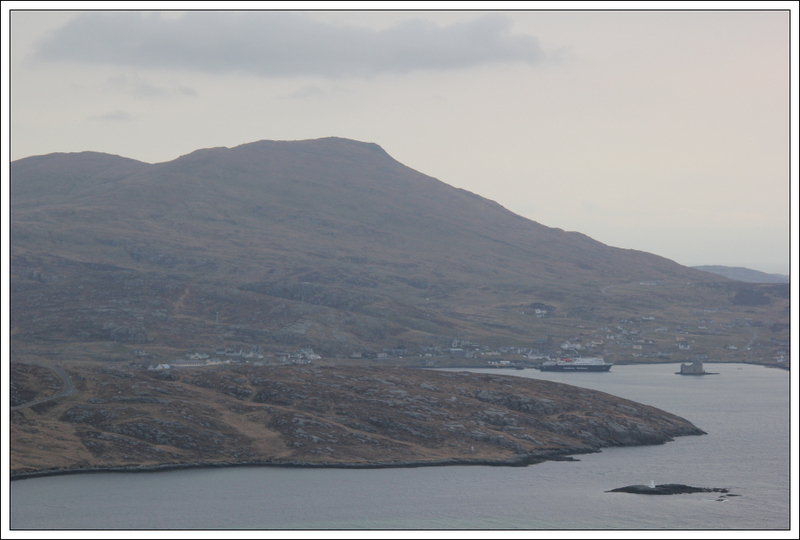 Yesterday morning, I drove to Oban to catch the afternoon ferry to Castlebay, Isle of Barra. 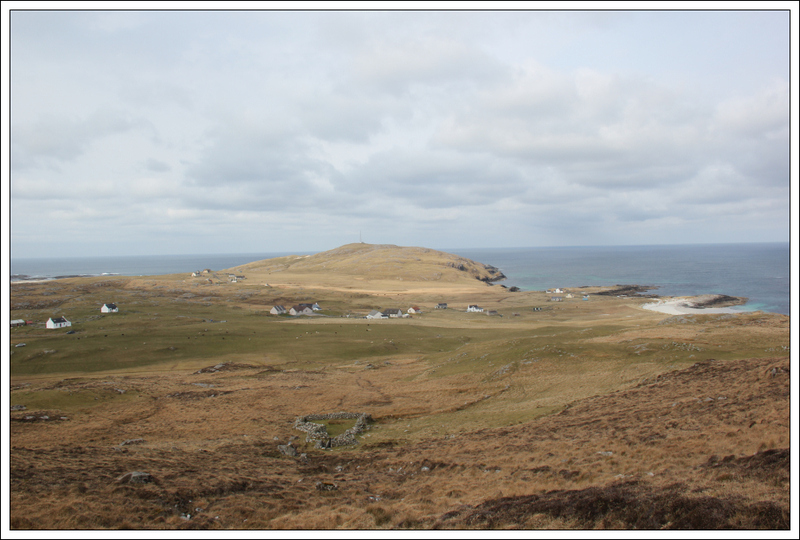 After a fairly rough five-hour crossing, it was great to set foot on the Isle of Barra for the first time. 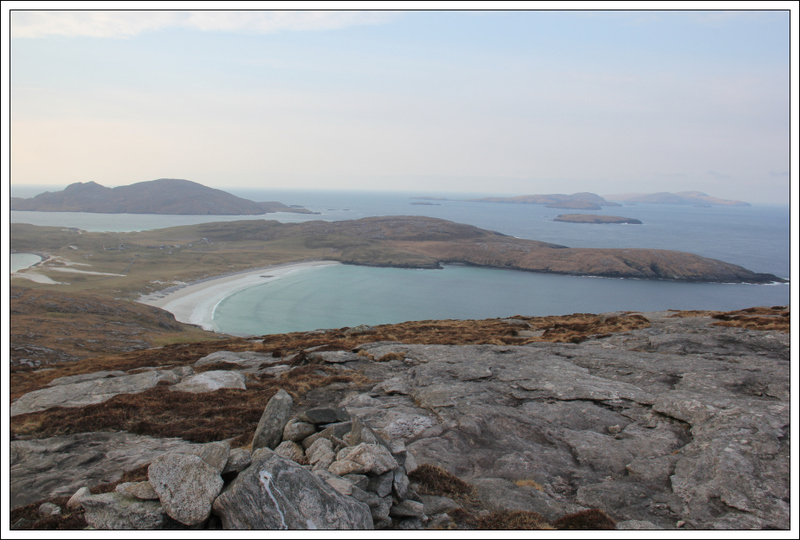 This morning, I set off nice and early to ascend Theiseabhal Mor on Vatersay. 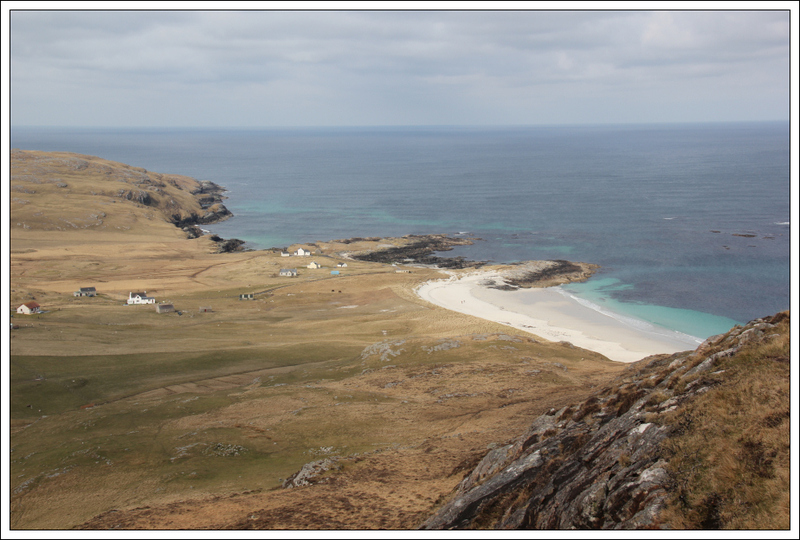 I parked in the small car park marked on the map between Bagh Siar and Bagh Bhatarsaigh. 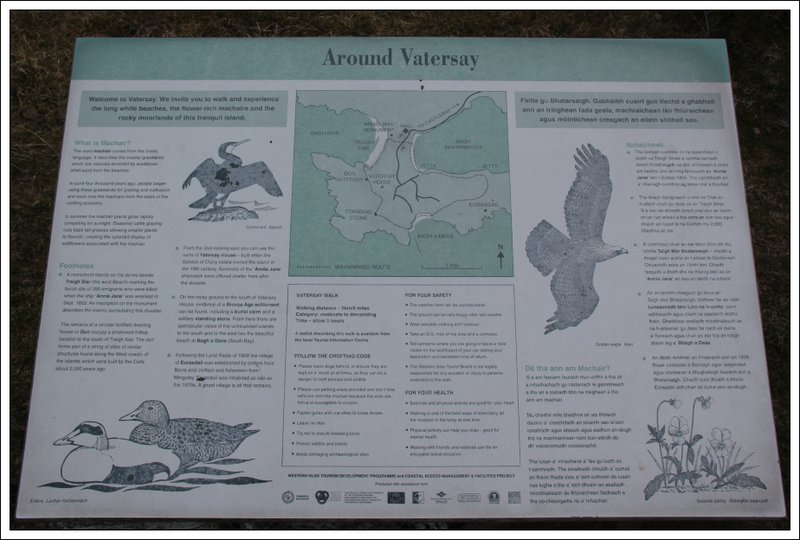 From the small car park, I set off through a gate directly opposite. 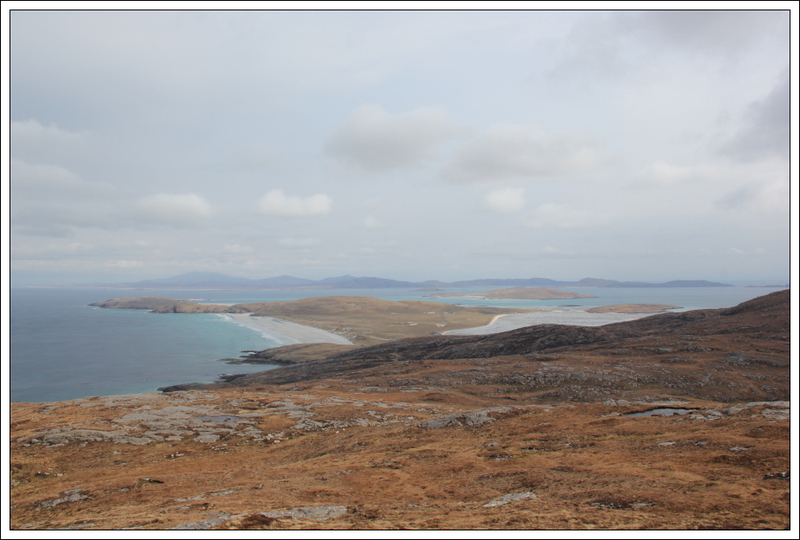 I then followed a path across the machair heading in the general direction of Theiseabhal Mor. However, during the initial ascent, I was confronted with what looked to be a fairly new barbed-wire fence. There was barbed-wire not only along the top of the fence but also along the bottom of the fence, so no chance of getting my dog over or under the fence. With no way past the fence, I had to return back down to the road . 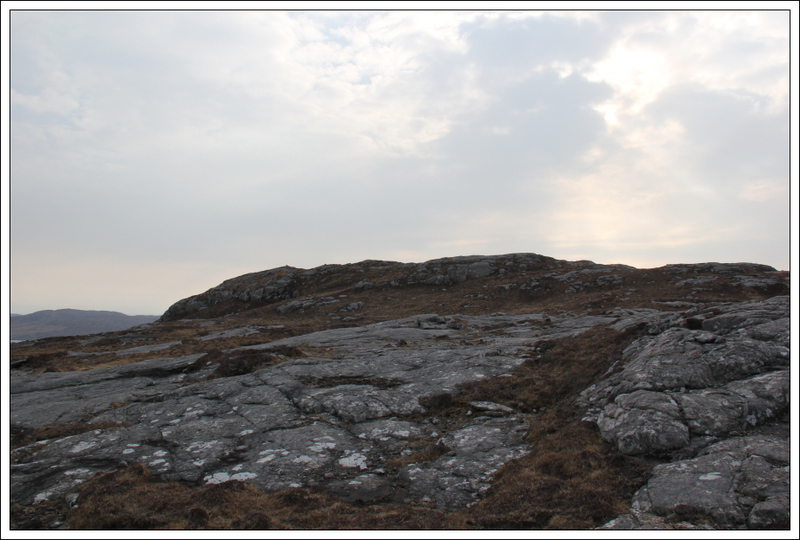 I then walked a short distance along the road until past a cattle grid from where I was able to successfully ascend Theiseabhal Mor without having to negotiate any fences. 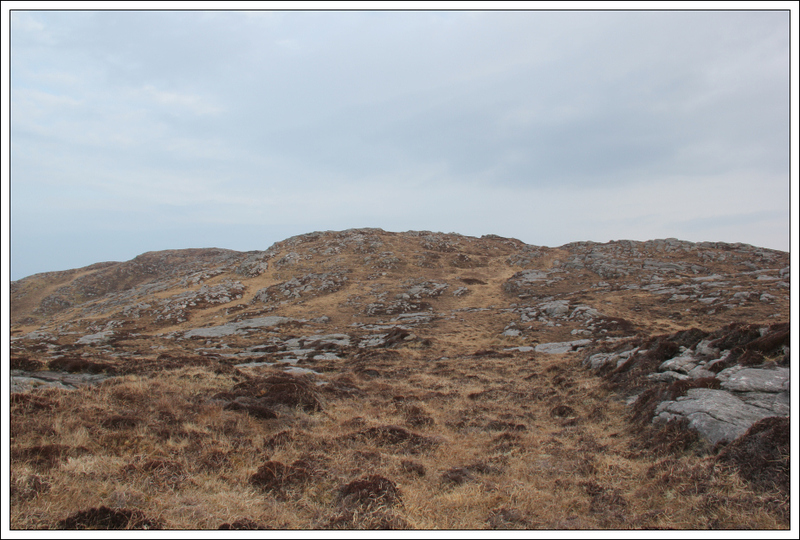 From the road, I ascended grassy slopes via intermittent sections of a faint path. 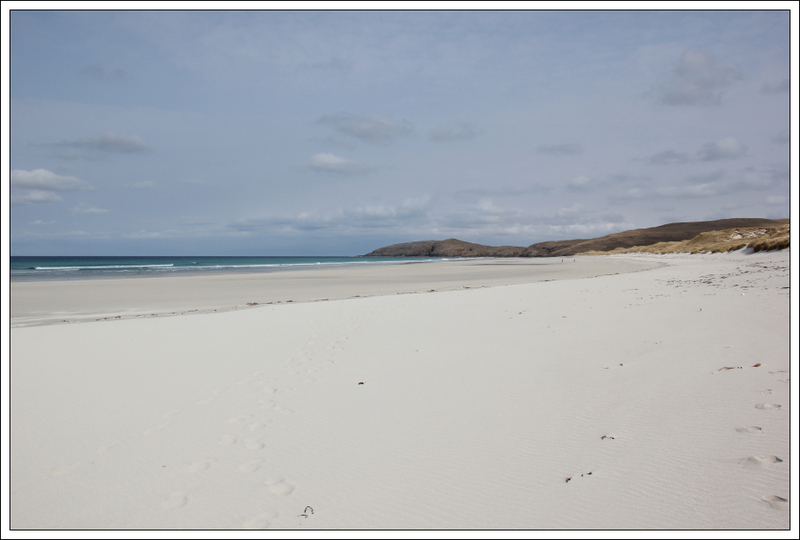 Despite setting off walking while the tide was fairly high, the beaches on Vatersay still looked nice. 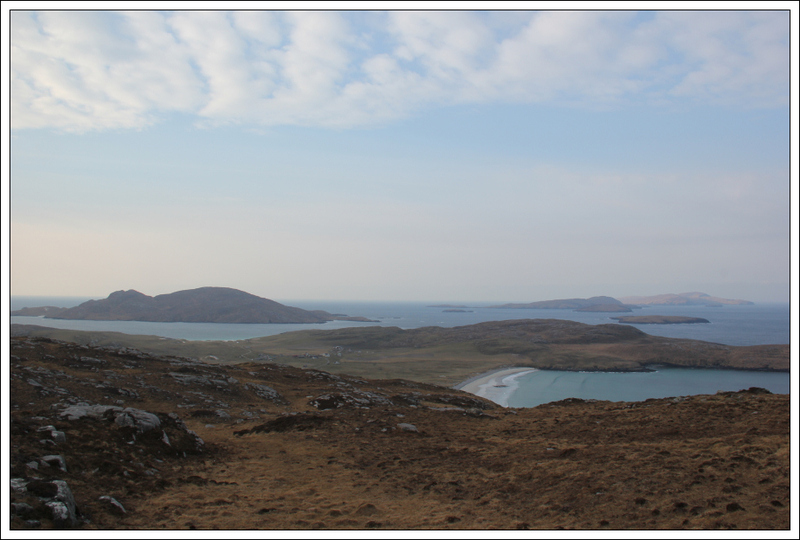 As I gained height, it was nice to look South to the Bishop Isles - including Sandray, Pabbay and Mingulay. 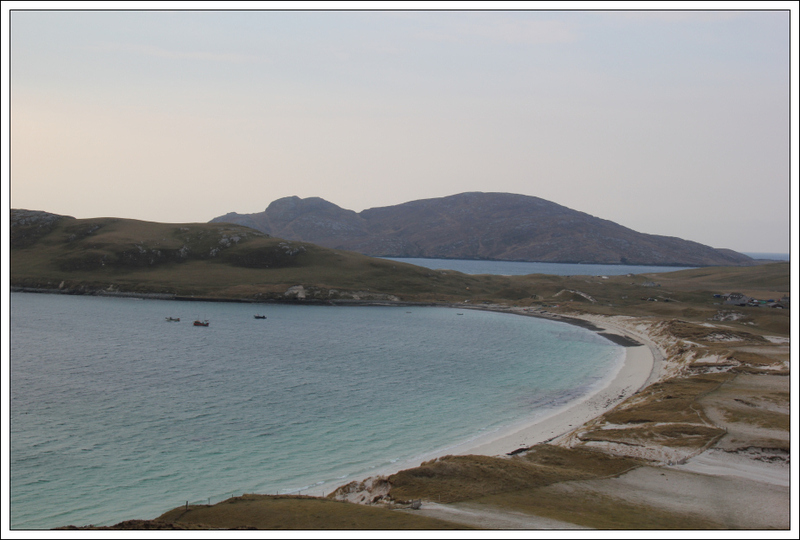 There are five Sub2000ft Marilyns on five of the islands South of Barra/Vatersay. 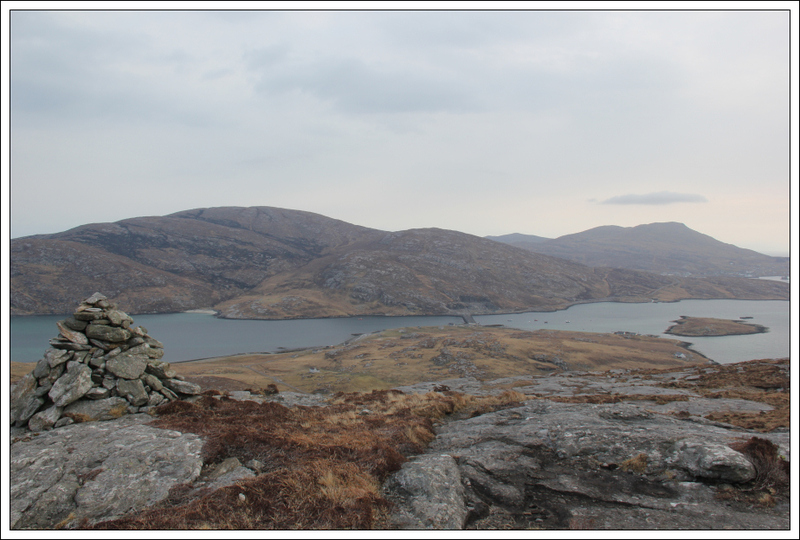 It didn’t take long to reach the summit of Theiseabhal Mor. 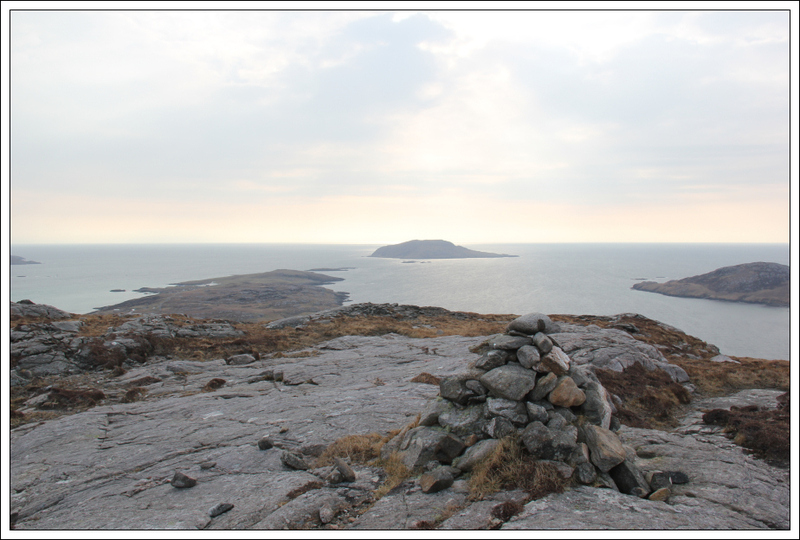 As well as visiting the summit, I also visited the two nearby cairns. 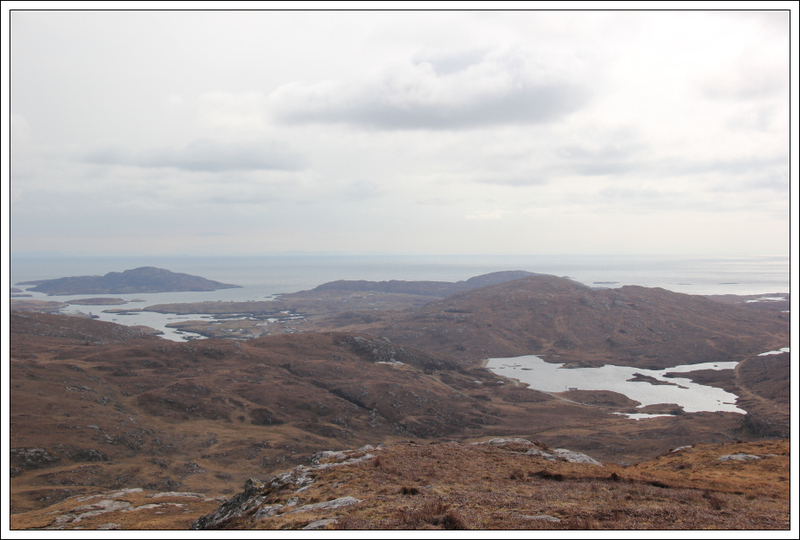 During the return from the summit, I opted to take a small detour to also ascend Theiseabhal Beag. 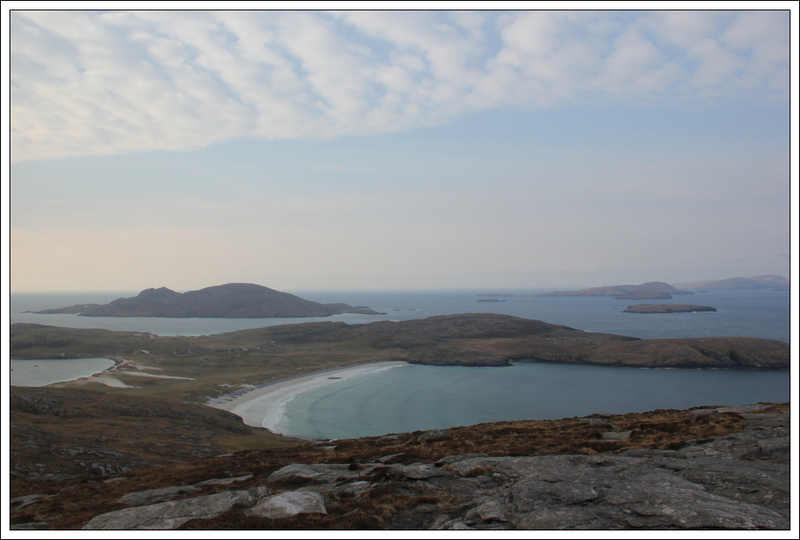 From Theiseabhal Beag, I returned to the car. 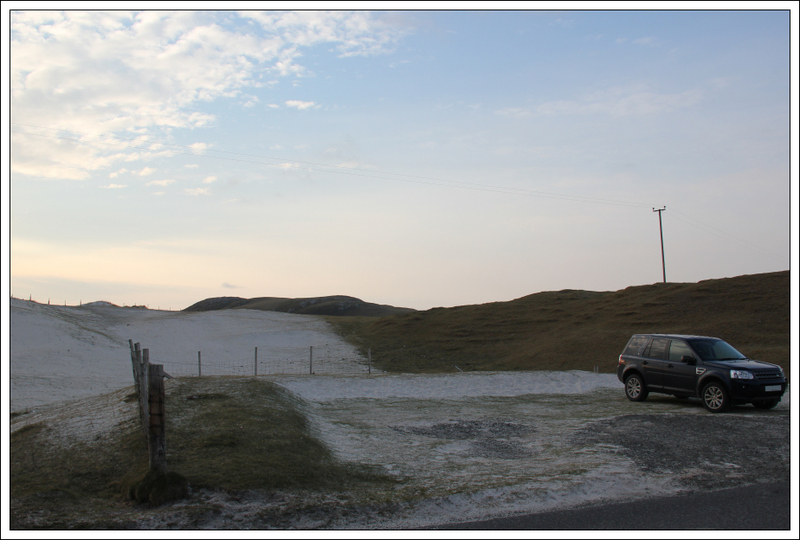 Once back to the car, I drove to several potential starting points for Beinn Tangabhal, on Barra. 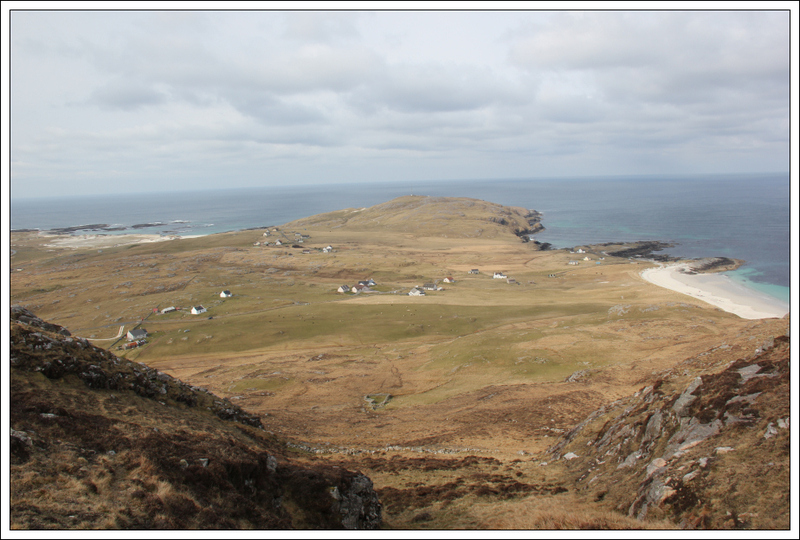 I ended up abandoning doing this hill today, as every potential starting point had barbed-wire fences to negotiate. 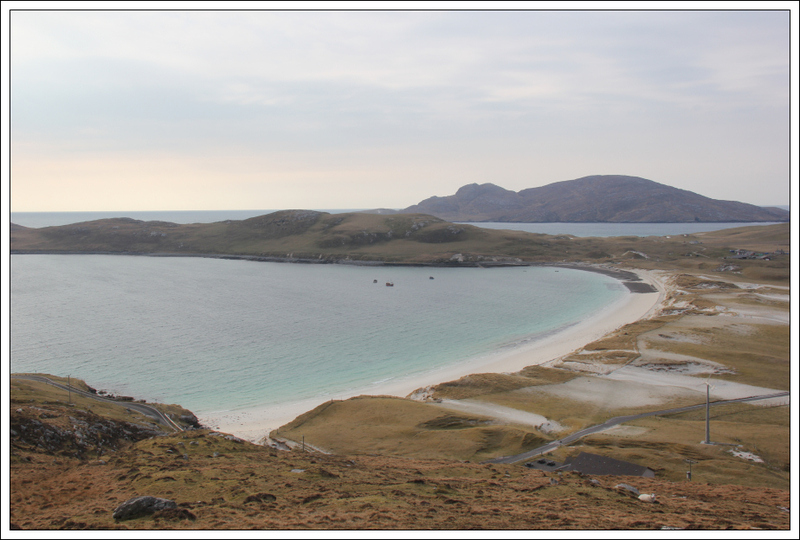 I now aim to ascend this hill later this week, without Beinn. 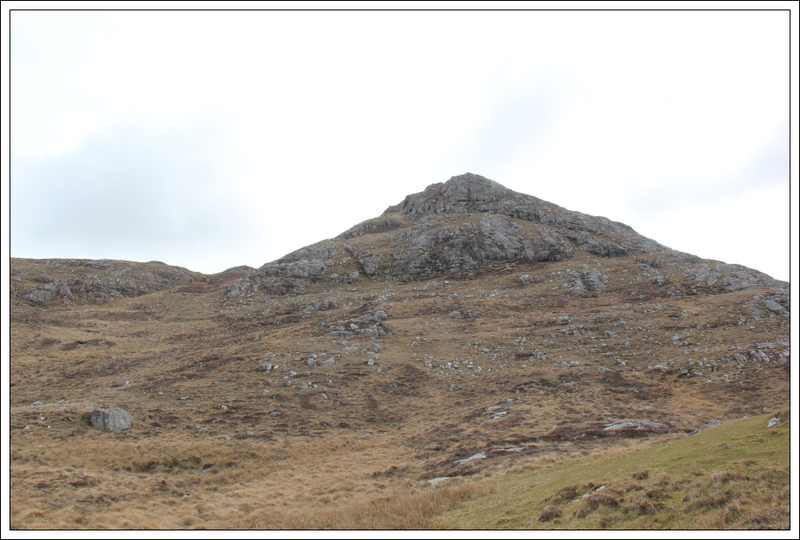 I then drove round to a potential starting point for Beinn Chliaid. 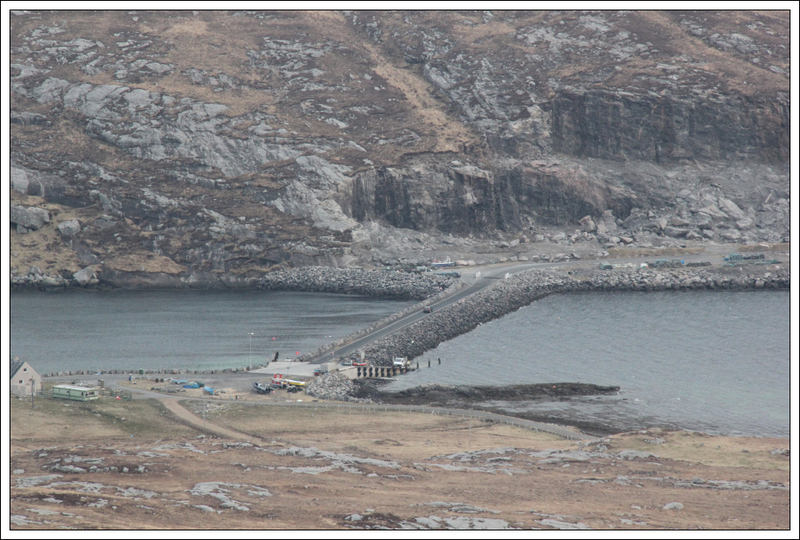 I was able to get Beinn through two gates but we were again stopped in our tracks by another barbed-wire fence. 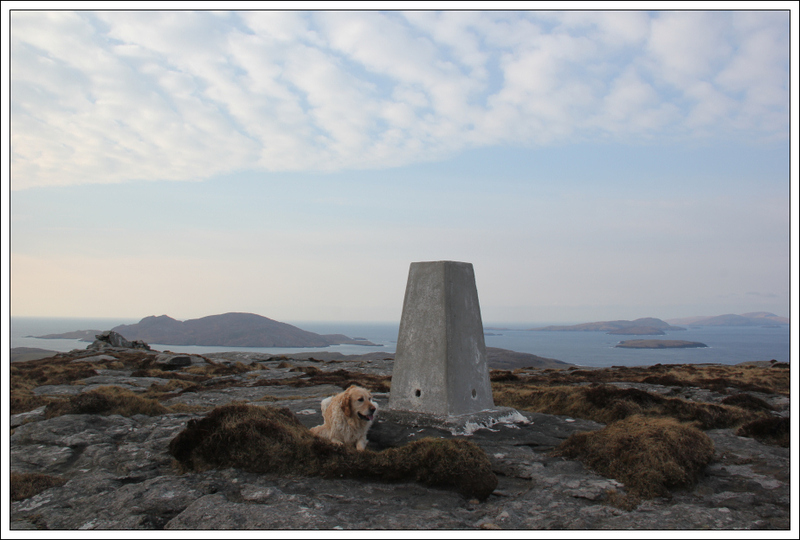 I decided to leave Beinn in the car and ascend the hill without him. 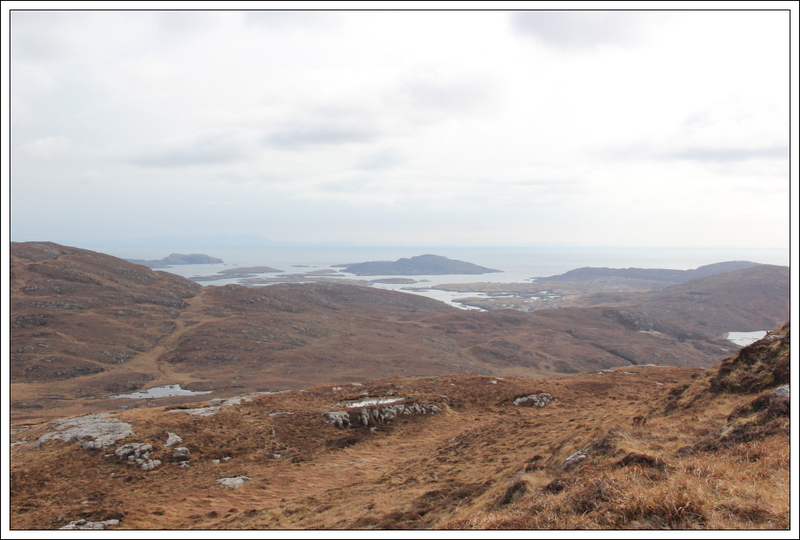 After passing through a couple of gates, and crossing over the barbed-wire fence via a small stile, I began the ascent of Beinn Chliaid. 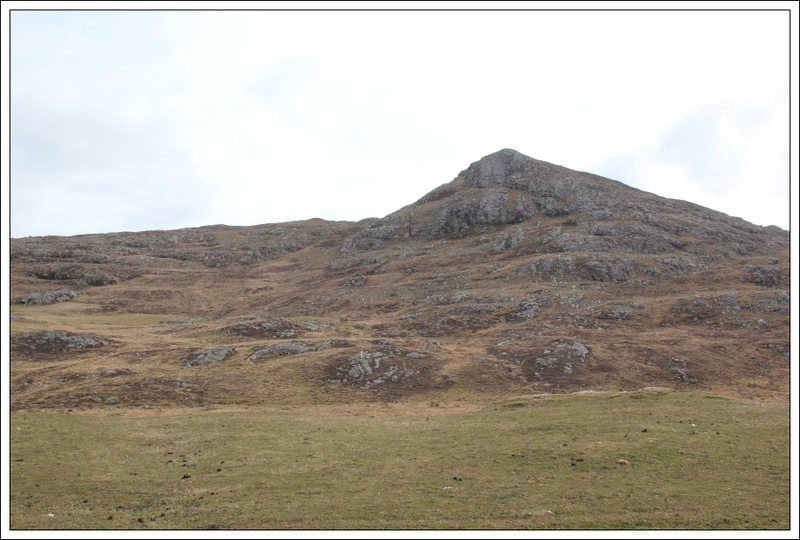 Beinn Chliaid is a fairly rocky hill, however, its ascent is straight-forward. 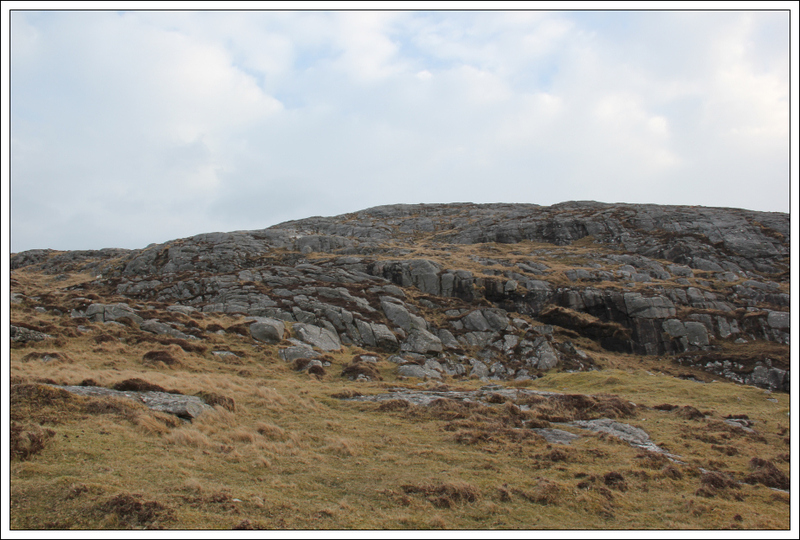 There is a route up a steep grassy slope that avoids all rock. 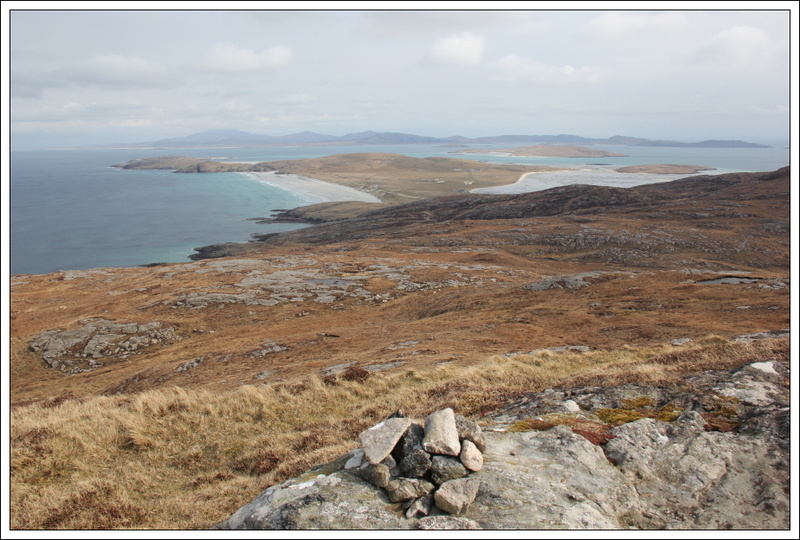 The views from the summit area of Beinn Chliaid are pretty-good. 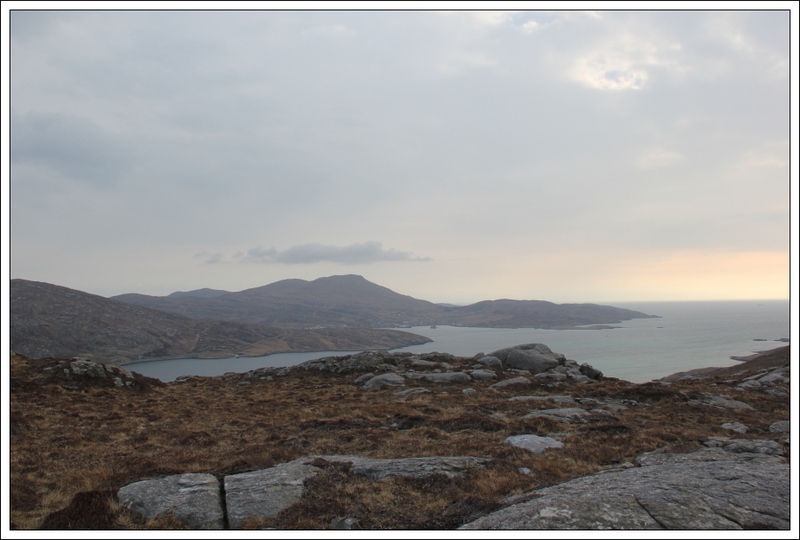 It was nice to look across to Eriskay and beyond to South Uist. 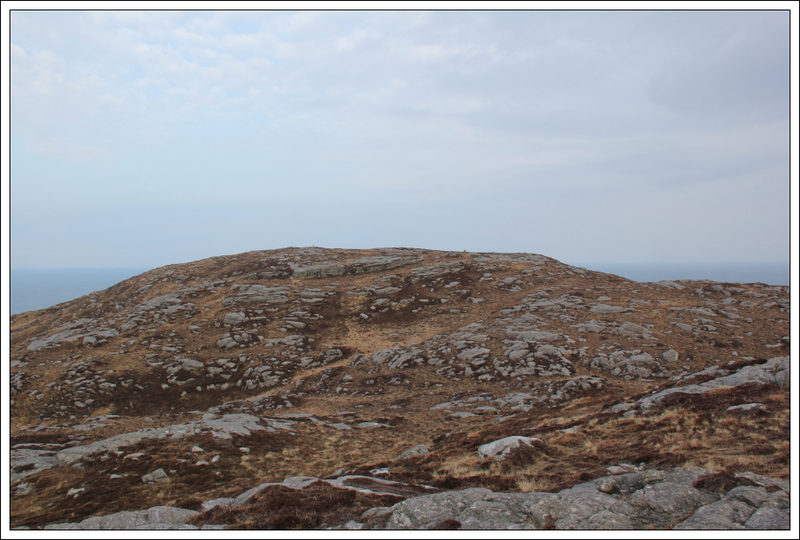 After visiting the small summit cairn and walking a short distance further along the summit ridge, I returned to the car via the same route. 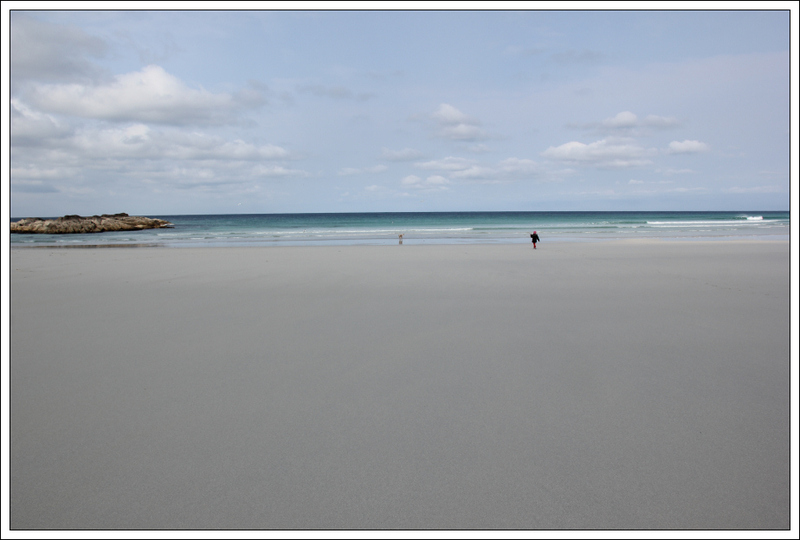 As it was not yet noon, I had plenty time to get back to our cottage and pick up the family for a trip to Traigh Eais beach near Eolaigearraidh. 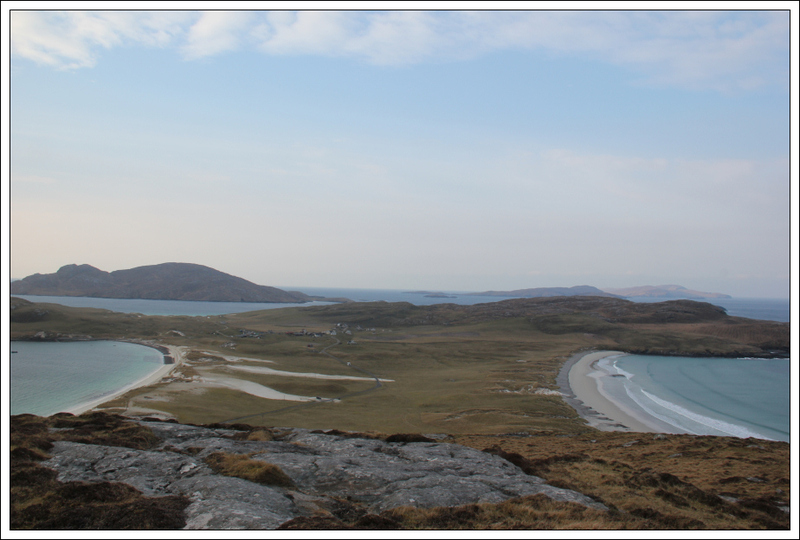 An enjoyable easy first day on Barra (apart from the fences) .